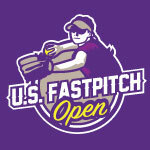 USFPO World Series events are by invitation only and reserved for teams which have won or been runners up/finalists of a USFPO World Series Qualifier from July through May of the World Series year. In addition a limited number of At-Large bids may be issued to teams that have participated in a USFPO World Series Qualifier. Please refer to the USFPO tournament schedule to determine which USFPO events are World Series Qualifiers. USFPO will host a World Series every June at a first class ballpark in a destination that ensures teams and their fan-families make plenty of memories on and off the diamonds. Unique USFPO World Series awards will be issued to the champion and runner up/finalists in each age group. The 2019 USFPO World Series will be June 5-9 in Golden Isles, GA, just ten minutes from the world class beaches of St. Simons and Jekyll Islands. The World Series will include a 5GG, double elimination tourney for 8U-HS and will be limited to 60 total teams. Other World Series events will include Opening Ceremonies, Pool Party, and Skills Competition. The 2019 World Series will also feature a College Exposure clinic hosted by our partners Jessica Sweat and Amanda Paz. Learn more about them at all-athletic.com. Teams and individuals welcome. Min 8 college coaches from D2, D3, NAIA, and JUCO. A separate fee applies for the clinic. To qualify for the 2019 USFPO World Series, your team must have won or been runners up/finalists of a prior USFPO World Series Qualifier (July 2018 – May 2019), or secure an At-Large bid by May 15, 2019. To inquire about our wait list for an At-Large bid please contact Alois Johnson or Koleman Karleski.